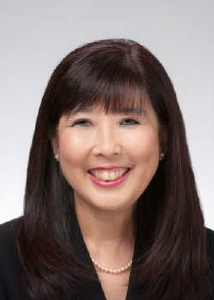 Richele Thornburg serves as executive vice president of People and Leadership Strategy at The Permanente Federation, and is vice president of Strategy, Leadership, and Communications for the Hawaii Permanente Medical Group (HPMG) – the state’s largest multi-specialty group practice. As a member of the Federation’s National Permanente Leadership Team, she has oversight together with David Bell, MD, of the Federation’s people and leadership strategy. In her HPMG role, Thornburg supports the executive medical director and executive team in sustaining a culture of compassion, innovation and excellence through the planning and execution of people, business and clinical initiatives. She partners with associate medical directors in leading organizational and cultural change. In partnership with associate medical directors, Thornburg’s areas of accountability include: Professional and Leadership Development; Medical Education; Residency and Process Improvement; Clinical Transformation; Service; On-Boarding and Diversity; Events; Health and Wellness; and Brand, Communications, Public Relations, and Community Benefit. Thornburg has been with Kaiser Permanente since 1993, initially serving as the director for Learning and Organizational Development. Prior to that she was a leader in the hospitality industry in Hawaii, and consulted in systems training and development in the aerospace industry in Southern California. She started her career as a secondary educator in Hawaii’s public middle and high schools. Thornburg earned her Bachelor of Education from the University of Hawaii at Manoa and her Master of Science in Educational Technology from Pepperdine University in California.